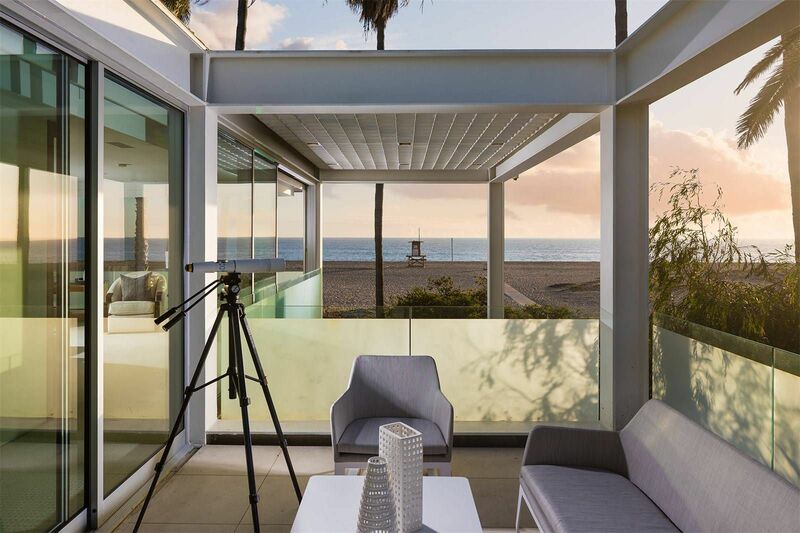 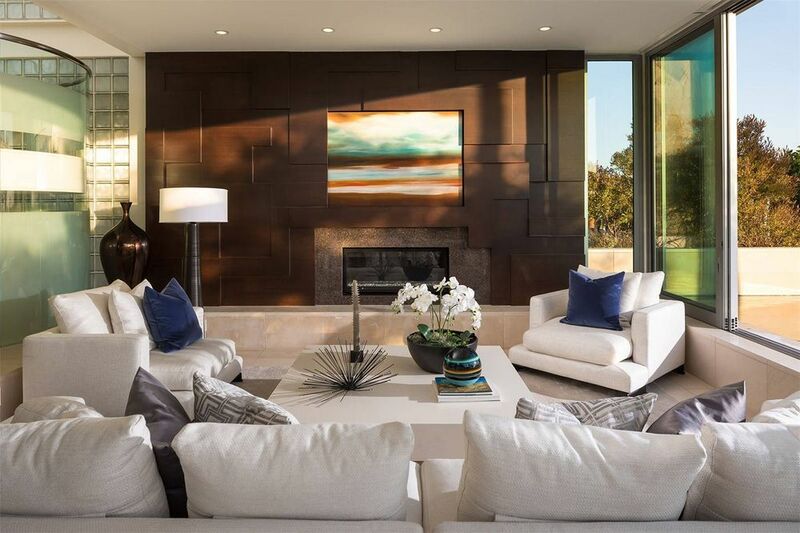 Walls of glass and a minimalist steel construction make up this impressive beach house on the Balboa Peninsula of Newport Beach in Orange County, California. 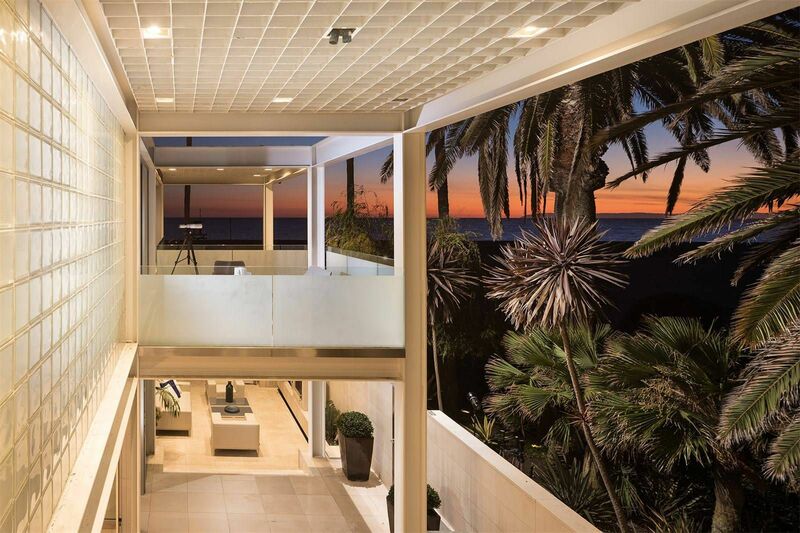 Known, simply, as the Balboa Beach House, the modern residence was designed in 1988 by architect Arthur Erickson and measures just shy of 4,000 square feet right on the Pacific Ocean, with views toward Catalina Island. 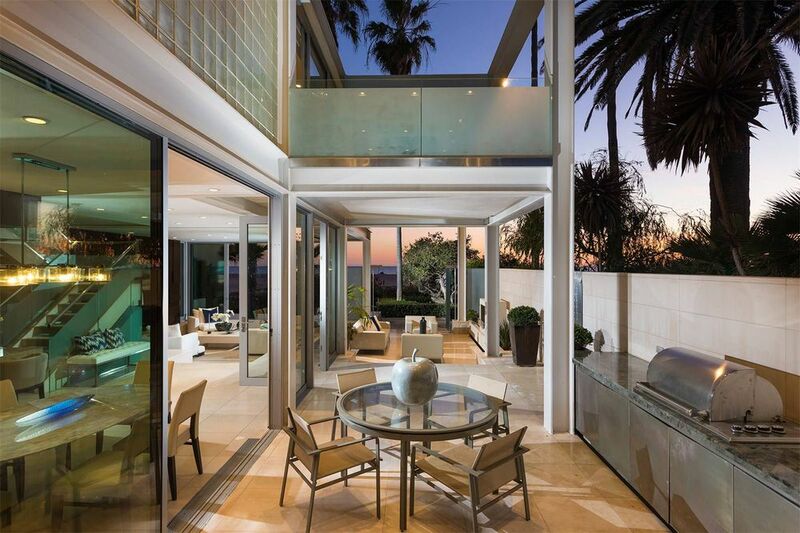 A limestone-clad garden wall leads to a stainless steel gate and into an extensive patio, which acts as an extension of the main open-plan living spaces by way of sliding glass doors. 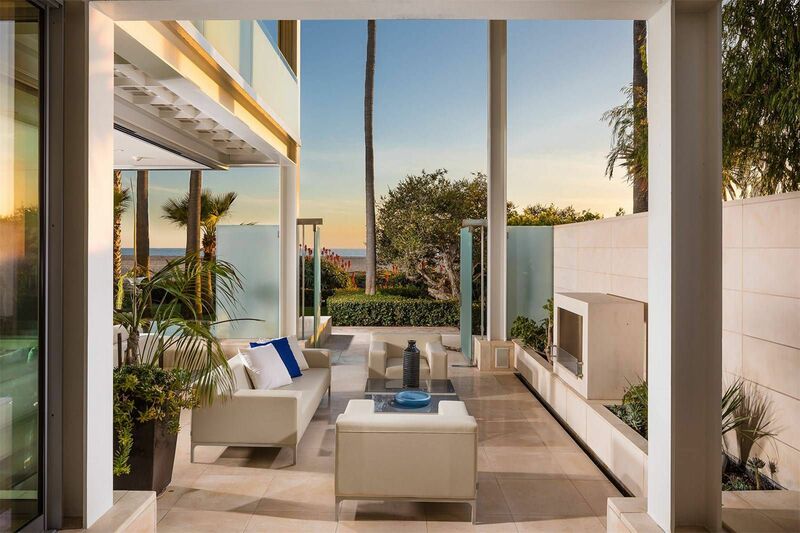 When “fully stacked,” the windows create a seamless connection to the outdoors: to the aforementioned limestone patio, a reflection pool, and sandy beaches. 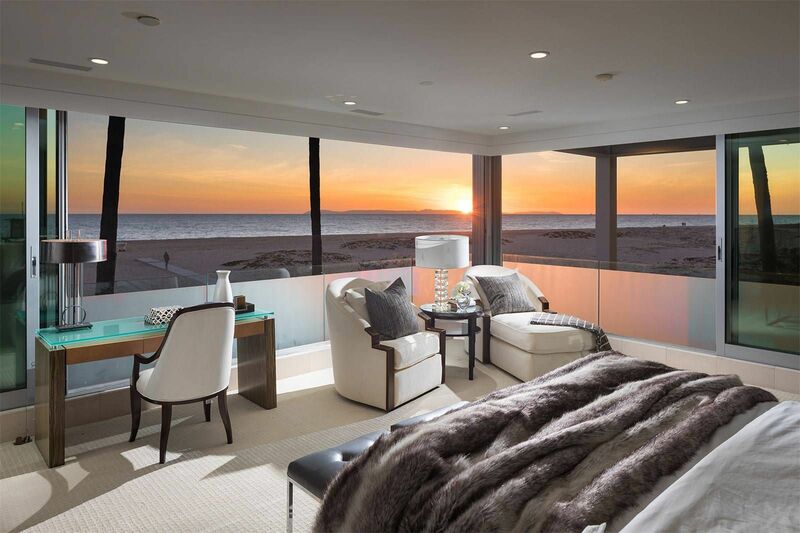 There are five ensuite bedrooms, most of them located on the upper level, where glass walls, glass bricks, and glass-encased balconies continue the lines and expanses of the main floor. 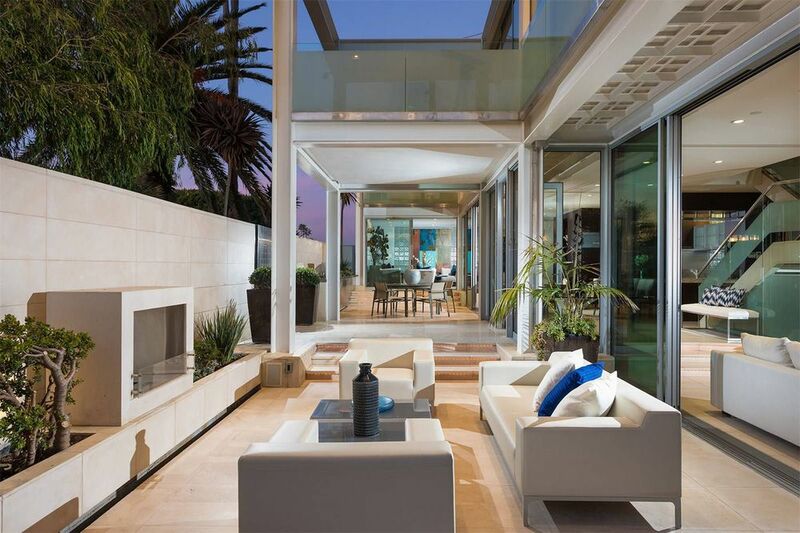 This glass box is better served looked at than read about, so get to it, below. 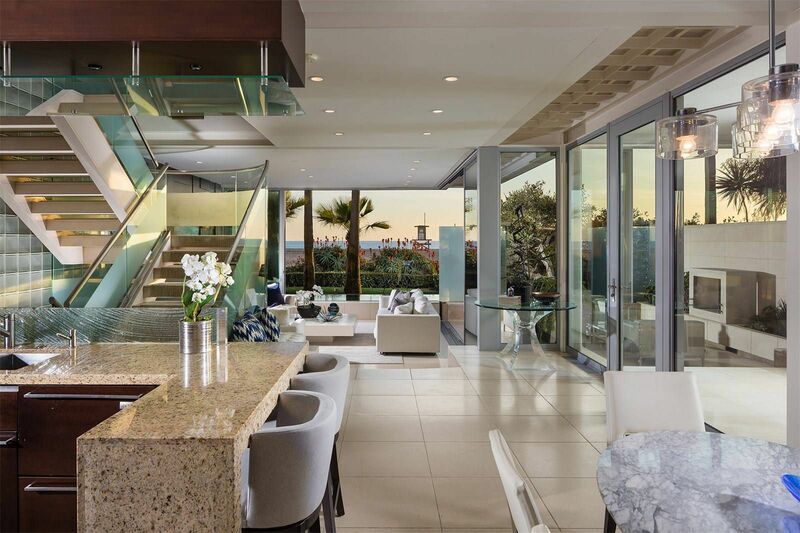 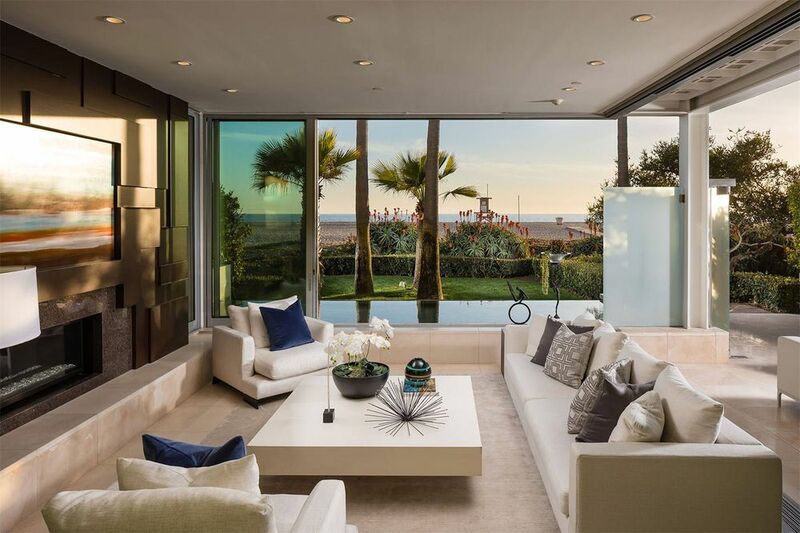 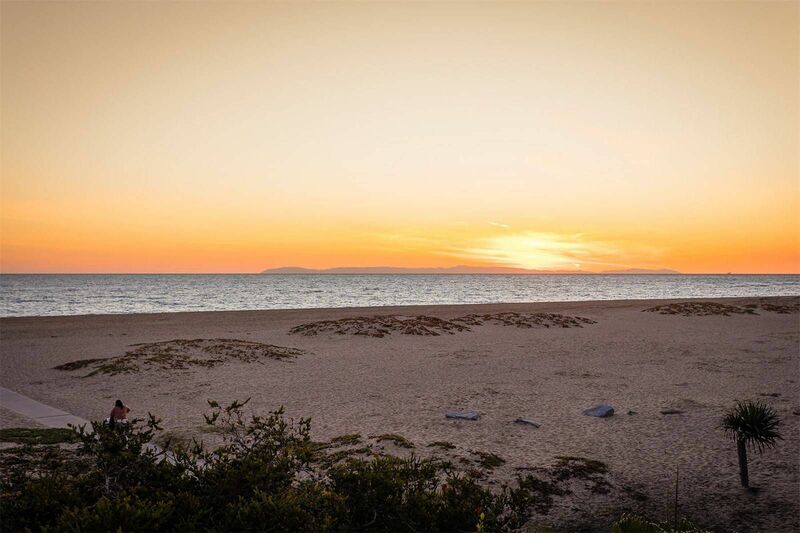 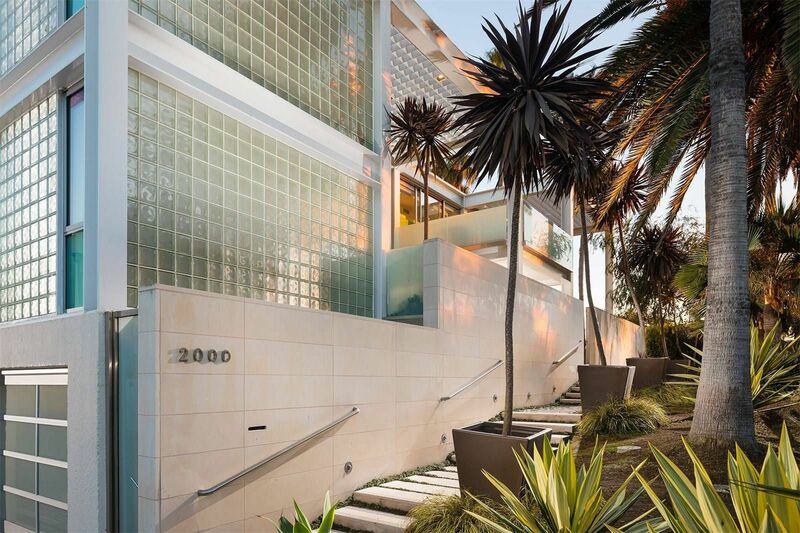 Located at 2000 East Ocean Front, it’s offered at a cool $11.5 million.